Sole Fitness SC200 Stepper Review by Industry Experts. The Sole SC200 Stepper is On Sale! 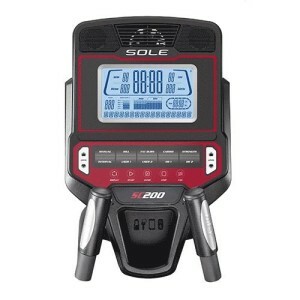 The Sole SC200 Stepper is a new arc trainer machine from Sole Fitness. This type of machine has a different motion pattern than a typical elliptical which can be very beneficial for those who experience knee and hip pain. In addition, an arc trainer can provide a fantastic lower body workout at low and high intensities. Since the SC200 is also 26″ shorter than some of Sole’s other machines, it will be a more compact option to fit inside your home. The Sole SC200 comes with free shipping and no sales tax on all orders, so it is an excellent value at $899.99. It has a strong lifetime frame warranty, three years on parts, three years on parts, and one year on labor. If you’re interested in a similar machine that adds an incline feature, check out this machine’s big brother – the Sole SC300 Stepper. Custom Designed Foot Pedals – The foot pedals on the Sole Fitness machines have a slight two-degree inward slope that is designed to reduce ankle and knee stress. 2-in-1 Design – This arc trainer is designed to provide a high intensity workout that burns calories efficiently with a comfortable low impact pace. It delivers an effective lower body workout. Strong Frame – The SC200 Stepper uses heavy 34 mm strong steel frame that can support up to 330 lbs. Programs – The SC200 Stepper comes with 10 pre-installed programs. Warranty – Lifetime Frame, 3 years electronics and parts, and 1 year labor. 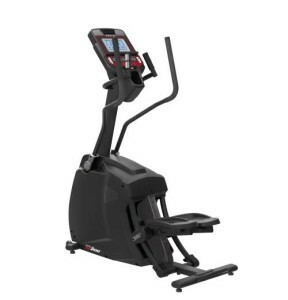 The SC200 Stepper does not qualify as an elliptical because its motion does not fit the typical elliptical motion. Instead it sweeps forward and backwards along the same movement path to provide an effective workout for your lower body. This type of motion is especially attractive for people who experience knee and hip stress on a typical elliptical. Another major perk for this machine is the size. It is only 56″ in length (compared to 82″ for many of Sole’s other machines) so it is less of a space hog in your home. Based on the quality of the other Sole Fitness machines, we feel confident in recommending the Sole SC200 Stepper. Or, if you want an incline feature, check out the Sole SC300 model.